The application for Poster Abstract has been closed. Commercial Exhibition has been updated. Participant companies of Company Seminar have been updated. The Human Genome Project has brought us the "genomics," a new approach to biology that is characterized by comprehensive data acquisition, integration of informatics with biology, and the attitude to understand living organisms as molecular systems. The information and knowledge obtained from such genome-based research will decidedly affect the future development of various fields of life science and biotechnology, including medicine, pharmaceuticals, and agriculture. Genomics is especially contributing to personalized healthcare and research development of medicine, such as personalized medical treatment and drug target discovery. The breadth of information produced by next-generation sequencers, now, are contributing the expansion of genomics. And it is important to acknowledge the latest achievement and the new development of medical biology brought by next-generation sequencing technology. The main theme of the 8th International Workshop on Advance Genomics planned in June 2009 is "Expansion of Genome Science." It will cover various new frontiers of genomics including "Personal Genome," "Cancer Genomics," "Epigenome/Transcriptome," "Chemogenomics," "Metagenomics," "Bioinformatics," and "Next-generation Technology." The organizing committee wishes to maintain the spirit of the preceding workshops by incorporating presentations on emerging technologies and encouraging related discussions. The meeting is currently planned to have plenary lectures, symposia, and poster sessions, and we are expecting as many as 500 attendants. 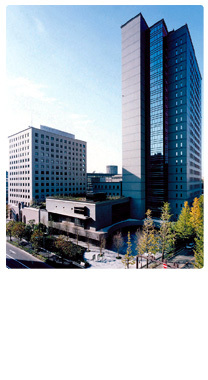 The workshop is organized by the 164th Committee of Japan Society for the Promotion of Science (JSPS), and is supported by Japan Bioindustry Association, and the Federation of Pharmaceutical Manufacturers' Associations of Japan.